Behold, it's Merlin, king of the wizards and legendary for his magical prowess. Our wondrous garden gnomes for sale include this master alchemist and master of the occult. Our Merlin garden gnome statues are especially knowledgeable in the ways of the forests and its creatures. Who better to stand guard in your yard? 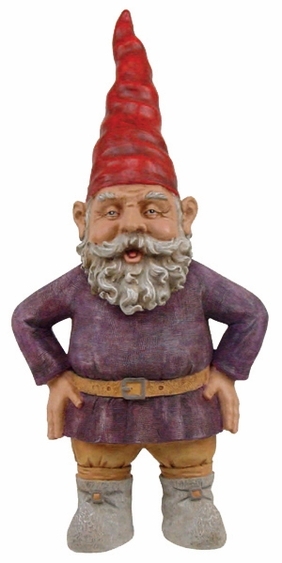 He's one of our 20-inch garden gnomes, which is a perfect size for a patio, porch or next to your front door to greet all who pass. Because he's made from weather-resistant cast stone, he's nearly immortal.